Go-to-Gifts: Quiet Books That Grow with Baby Mama Say What?! | Mama Say What?! One of the things that made me feel very loved during my first pregnancy was receiving packages from generous family members with gifts for our baby. Some were small tokens (like bath toys and washcloths, which we use every day) and several were carefully hand-made with love by my artistically gifted relatives. 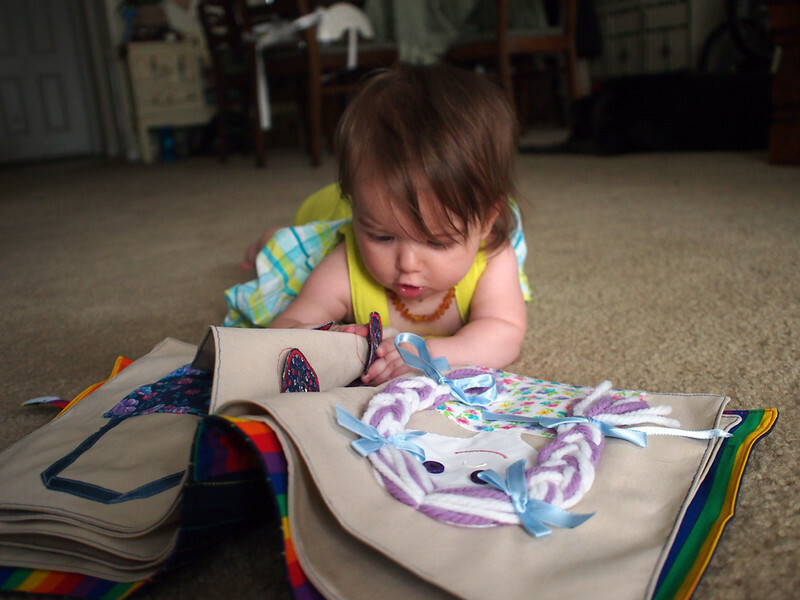 Hand-crocheted blankets, hand-sewn stuffed animals and baby clothes showed up at our door. Although I love all of these items, one stands out in my memory. I was unbelievably excited to get a package from my aunt Tracie and opened it up to find a cloth book that said “My Quiet Book” on the front, just like the one I remember playing with as a child. 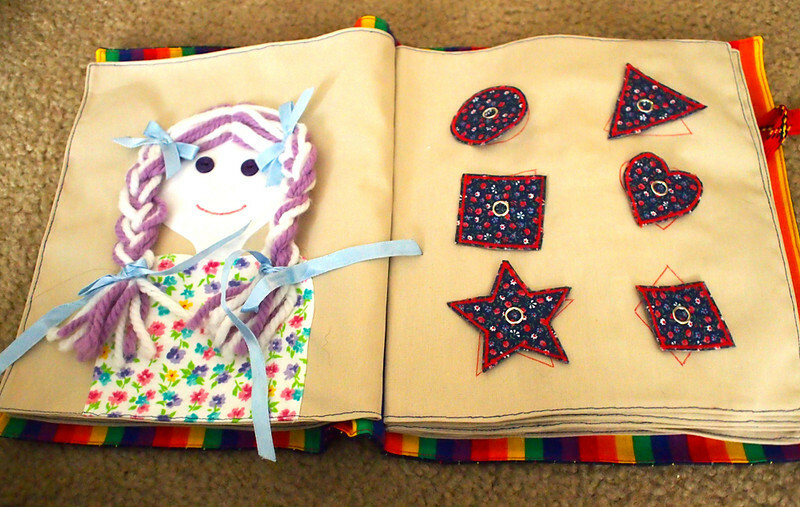 This quiet book has been one of my daughter Maggie’s favorite toys since she was big enough to lie on her belly and look at the pages. It is brilliantly put together with activities and textures that can entertain a four-month-old just as easily as a 4-year-old. I know my parents brought this book to church for me every week when I was little, because I remember sitting on the pew (quietly!) and enjoying each activity, one by one. 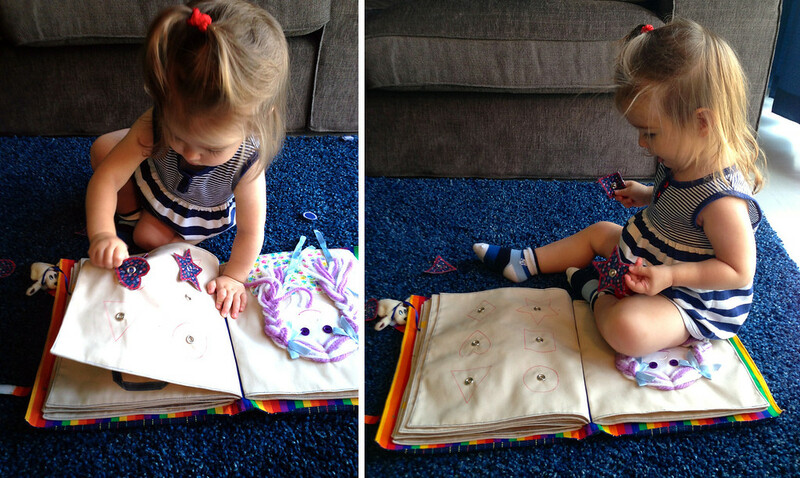 A quiet book like ours would be a wonderful gift for a child to grow into, or for a child who’s already old enough to enjoy all the activities. 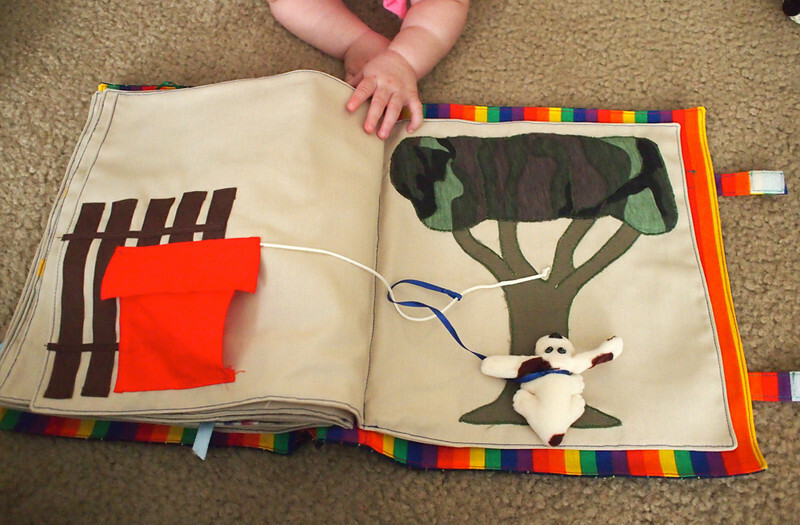 There are an abundance of ideas out there on the internet for how to make your own quiet book; you can check out Pinterest boards. I even found an entire blog dedicated just to sharing templates and ideas. 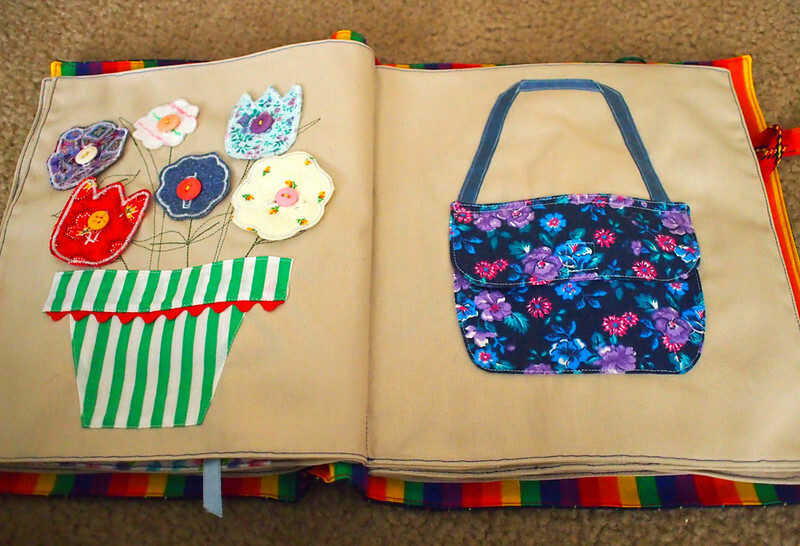 I’ve checked out several ideas that aren’t too difficult and I think anyone with very basic sewing skills could make a pretty fun quiet book without too many special materials. They make a great up-cycling project for your small fabric scraps, old clothing, and odd extra buttons. Not crafty? No time to even consider a project like this? Never fear! Lots of talented people are willing to make them for you! 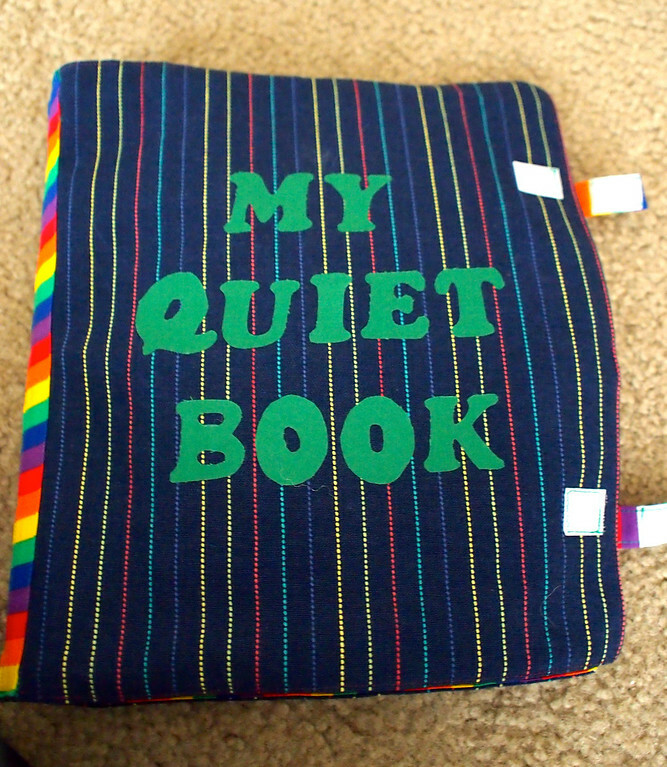 Lots of crafty folks are offering their fun themed quiet books for sale on Etsy (with themes like Bible stories or Star Trek or even Doctor Who). There are several available on Amazon too and some even qualify for free shipping! 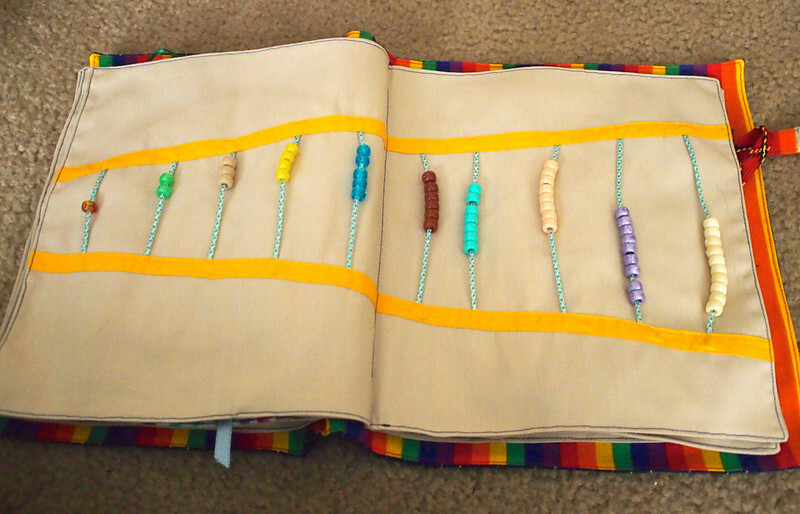 Have you ever made your own quiet book, or been given one as a gift? Please tell us about your favorite pages and activities in the comments! Added by Christina D. on July 25, 2013. I love making quite books I’ve made two so far one for my son and one for my niece. This is such a wonderful gift! I remember seeing one of these when my son was a baby. I really wish I had bought one now! These are so cute, and I bet really entertaining for little ones! I know my baby would love one. That is the most impressive quiet book I’ve ever seen! What a wonderful gift! I had one of these as a kid, and my kids now play with it at my parents house when we visit. I never thought of making one, though. Great gift idea! I love DIY ideas. I had a similar book given to me when I was little. I think my parents still have it. Such a great idea! Hmm.. if I start now, I might actually finish one by the time Lev is four. 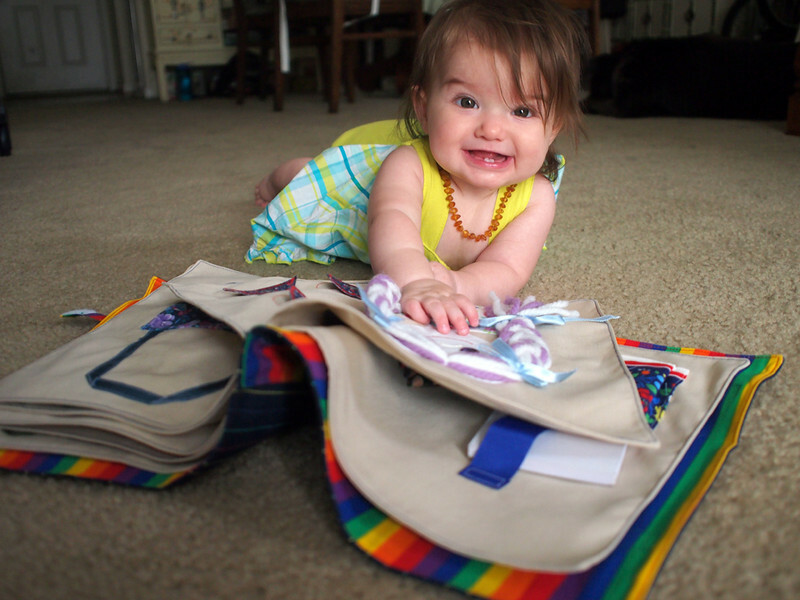 Pingback: Go-to-Gifts: Big Sibling Gift Mama Say What?! | Mama Say What? !